How green can Hawaii go? How green can Hawaii go? Written by Charles on November 30, 2018 in Blog. Were you aware that Hawaii is the most fossil fuel dependent state in the United States? We spend $5 billion a year importing oil! It makes sense, but it also doesn’t make sense. Hawaii’s unique geographic isolation has forced us into a near-total dependency on imports of all kinds, like food, building materials, vehicles, household consumables and of course — fuel. But Hawaii is also abundant with clean, renewable resources like fertile land, sunshine, ocean swells and wind, all of which are available year-round. So what is Hawaii doing about this? 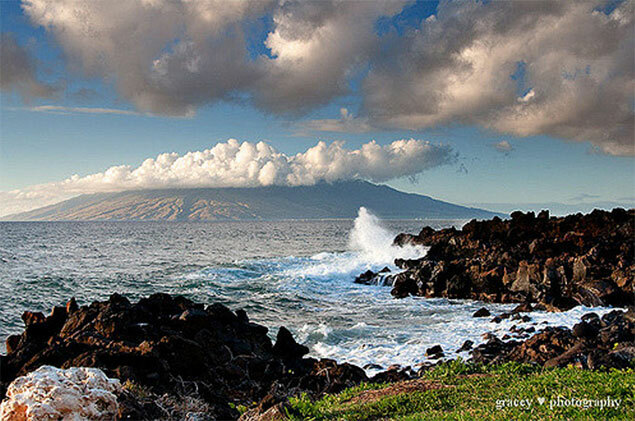 Hawaii’s state’s path to clean energy adoption is most definitely underway. Our state government is leading the charge with its Hawaii Clean Energy Initiative (HCEI), which has the daring goal to achieve 100 percent clean energy by 2045 (read: we obtain 100% of our electricity from sustainable, renewable resources). The strategy to achieve this goal involves changing the regulatory environment, working with local utilities to increase renewal energies and integrating renewable energy into utility grids. 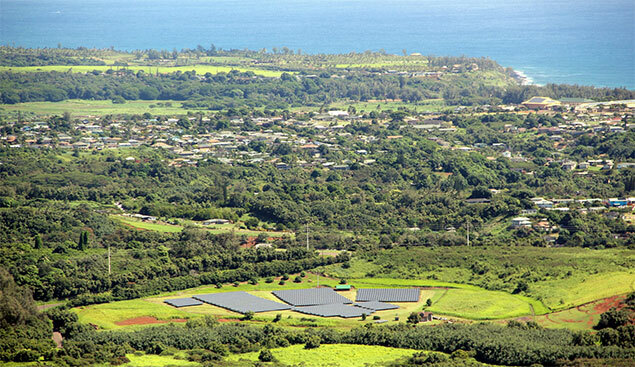 The HCEI sets a promising tone and cadence to Hawaii’s move towards energy independence. Should we pull it off, Hawaii’s economy will thrive, we’ll have a much lighter carbon footprint and our islands will be a world-class model for energy independence. Where is Hawaii today on energy independence? One highly noticeable change in Hawaii is the large numbers of electric cars on the road (Teslas, Leafs, Volts and others). The state has incentivized the purchasing of electric cars by exempting them from all metered and airport parking fees, as well as carpool lane restrictions. 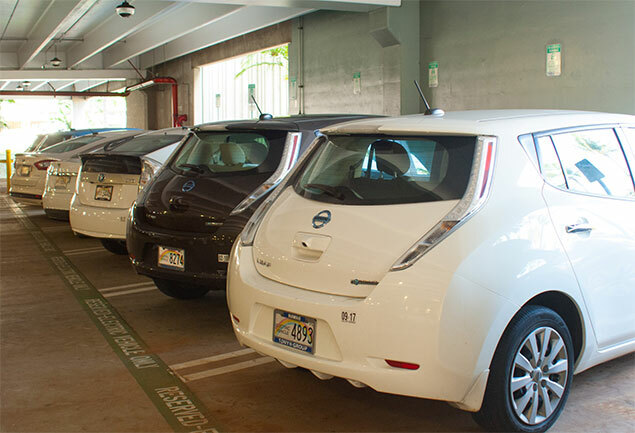 The strongest evidence of this incentive can be be witnessed at any Hawaii state airport parking area, where you’ll see about 1 out of 3 parked cars with “EV” plates. 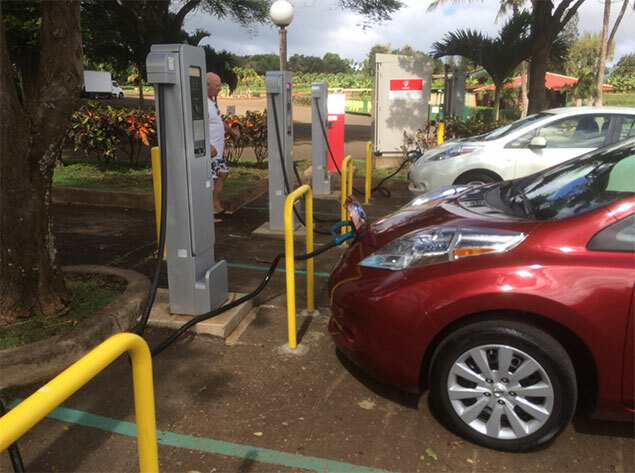 (I’m a Nissan Leaf owner and I’ve literally saved thousands of dollars at the Honolulu International Airport). Hawaii’s solar industry is another massive indicator of our move towards energy independence. Several local solar companies have grown to levels of incredible success thanks to a combination of state and federal solar subsidies, net metering and well, lots and lots of year-round Hawaiian sunshine. Hawaii now has thousands of happy homeowners paying zero dollar electric bills thanks to their PV systems. 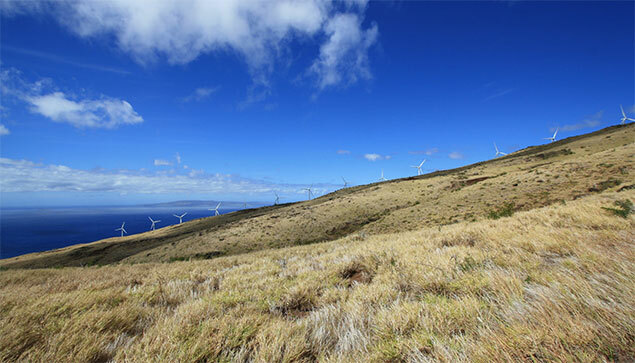 Another alternative energy initiative has arrived in Hawaii — wind power. It’s not uncommon to glance up at a ridge or valley and see a gaggle of 40-foot tall windmills silently spinning. Unlike solar, wind farms in Hawaii aren’t as popular with the residents because they dramatically change the natural landscape. They do, however, produce about 5% of all electricity in Hawaii. Lana’i as green island model? 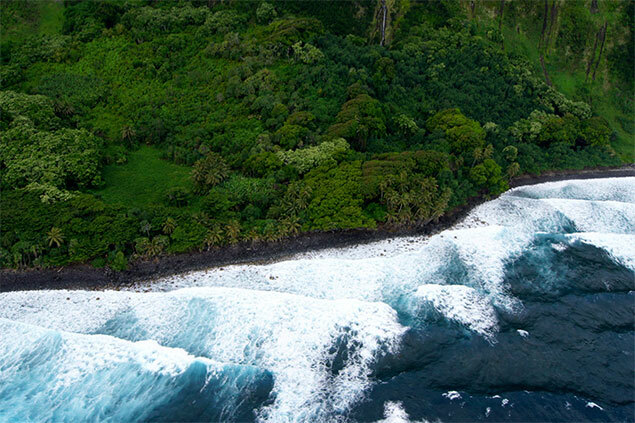 Leave it to Silicon Valley tech entrepreneur and Oracle Founder Larry Ellison to buy 98% of the island of Lana’i and launch an ambitious plan to make it one of most advanced renewal energy labs in the world. Can he pull it off? Perhaps. 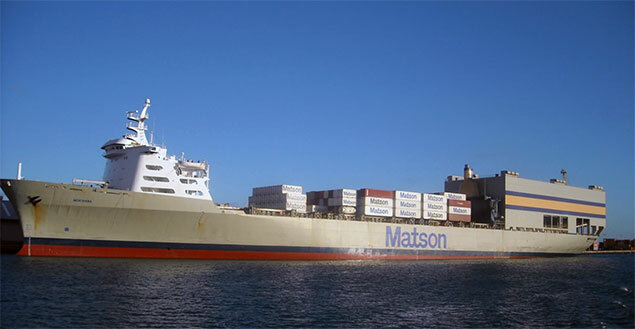 Mr. Ellison has announced plans to use solar and wind power to convert seawater to fresh water by desalinating it. The fresh water will be used to grow agriculture, which can not only feed the island residents but also be exported for profit. What do you think about Hawaii going totally green by 2045? Can it be done?